St. Katoghike Church is in the heart of the Shahar quarter (at the intersection of current Abovyan and Sayat-Nova streets). The church was built in 1693-95, on the ruins of a 7th century Armenian Church. The Church belongs to the three-nave basilica type without a dome. Despite its small size prayer hall (14.0 x 19.3 m), and its outside perimeter (16.4 x 28.4 m), St. Katoghike was one of the capacious churches in Yerevan. The church had entrances from the southern and western sides. The walls of the Church lacked the usual means of architectural expression. There are carved khachkars (cross-stones), dating from 1679, 1693, 1694 and 1695 years, and when the walls were demolished they discovered ancient khachkars dating back to 1472, 1641 and 1642. According to historical researches, there was a church on the same site of St. Katoghike traditionally called “St. Astvatsatsin Church” (St. Mary), which ruined after a big 17th century earthquake. The hypothesis of the existence of the ancient church was fully proved during the demolition of the St. Katoghike Church, when the southern and northern walls to which the two vestries were annexed were opened. The most ancient inscriptions on the above mentioned walls date back to 1264 year. On the west wall were found inscriptions dating to 1229, 1284, and XVI century, and on the north side – 1909. Consequently, on the west side of St. Astvatsatsin Church, possibly in early XVII century, adjoined a chapel, on the spot of which at the end of the century was built the Church of St. Katoghike. 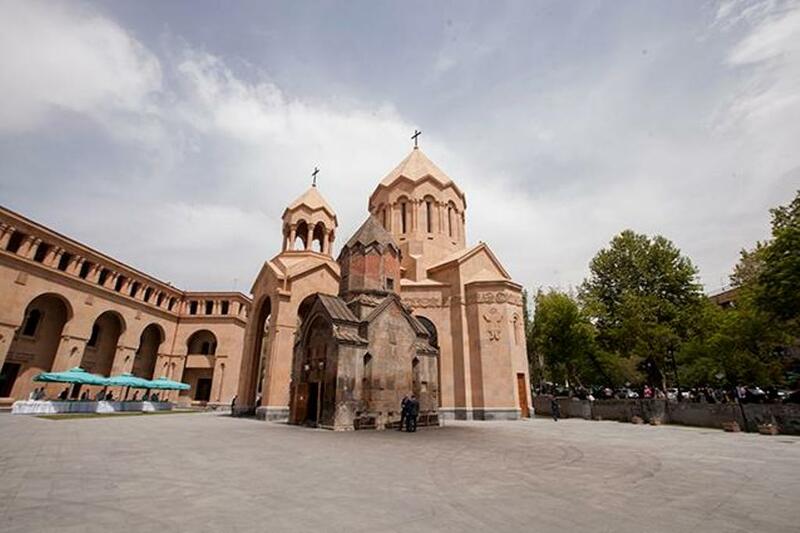 This discovery is very important, because Church of St. Astvatsatsin is the only medieval church in Yerevan, which has withstood the devastating earthquake of 1679. St. Astvatsatsin Church (which still bears the name Katoghike) is relatively of small size (5.4 x 7.5 m). Due to the very limited facilities, it can offer for the required church rituals, it serves only as a chapel – merely a prayer house.